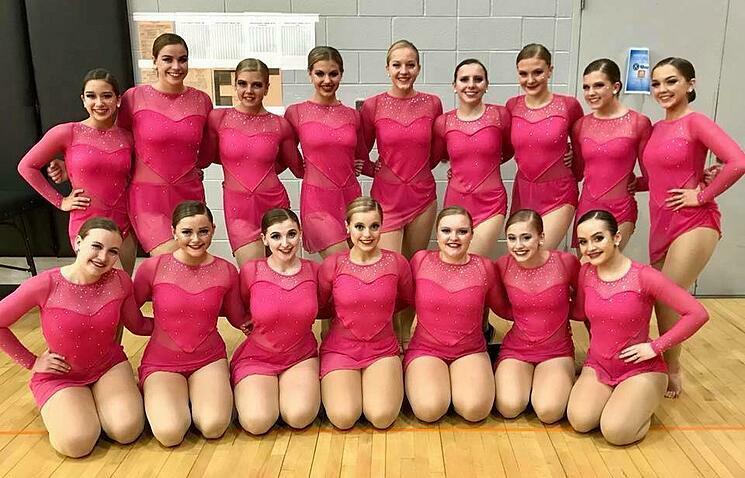 Cedar Rapids Prairie High School Poms placed 3rd in contemporary dance at Iowa State this year- and are now preparing for their first trip to UDA Nationals! 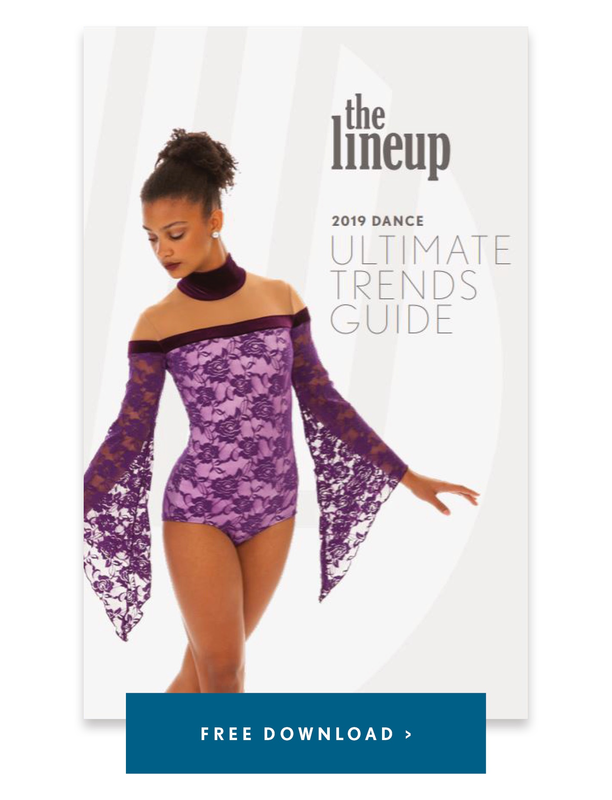 This is impressive feat considering the fact that when when Natasha Leas started coaching the team eight years ago, the dance program was about to be eliminated. 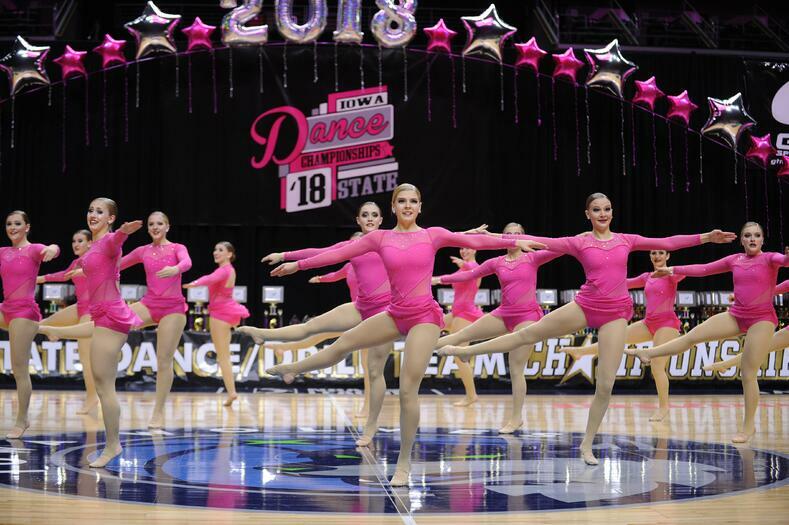 "The team that is on the floor today is a product of all of the 8 years of dedication, hard work, and pure passion for dance from every member of Prairie Poms," Natasha said. "Our concept regarding the routine started with the concept of how the world needs more love and that someones story can change by the power of love! A week before choreographing this routine our choreographer suffered a sudden loss in her life. Through grief the routine became part of a healing process and inspired creativity to develop. When we were deciding on the costume we knew we wanted to incorporate the symbol for love (a heart). We wanted it to be subtle yet noticeable. We also didn't feel like the song was a dark song - it is more of a hopeful song - so with the costume color we wanted to have something that was bright like in love." The Jupela, with it's sweetheart neckline and mesh cutouts was the perfect base style to incorporate a subtle heart on the chest. The team added a dynamic asymmetrical skirt, and paired the look with a hopeful pink color for a sweet and feminine ensemble. You can tell from Natasha's open and honest Q & A responses, below, how much this coach loves and admires her team. 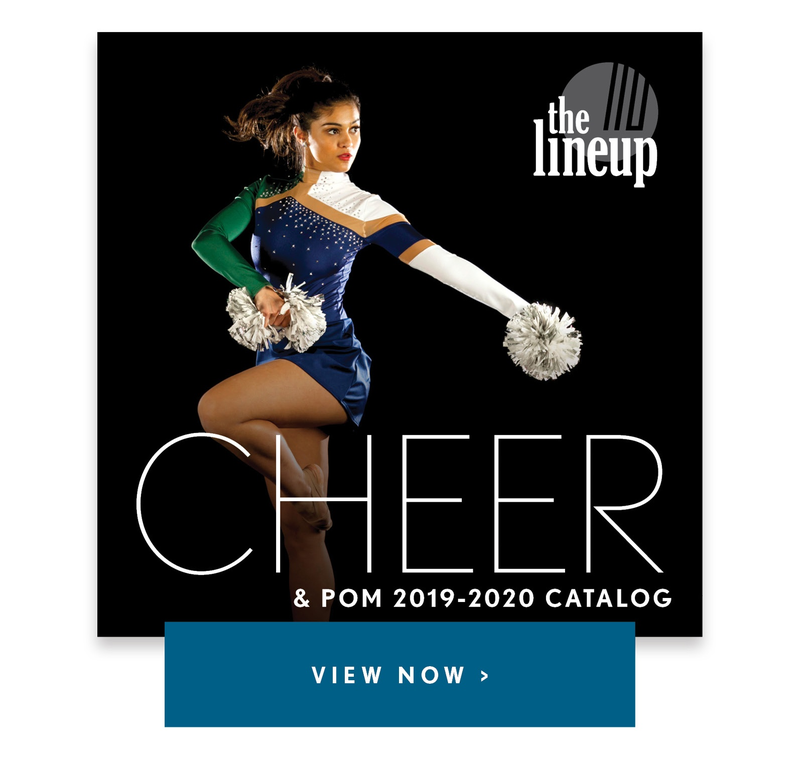 Get to know the Poms, and check out a video of their season! Our team/program is unique in that 8 years ago if you told me that we would be going to nationals we wouldn't have believed you! The first day that I got hired I was told that if we didn't change the program the school would be eliminating their dance program. (no pressure). I was young right out of college and really didn't have very much experience with a high school dance team, but had a teaching degree with a dance studio background! The team that is on the floor today is a product of all of the 8 years of dedication, hard work, and pure passion for dance from every member of Prairie Poms. The first season I told the team that they were laying the foundation for the dancers that will follow and it is echoed today in the team that you see. Through all of the struggles we kept pushing through and growing as a program. Small accomplishments such as having team doubles in time to receiving division 1s at state. To placing in the top 10 at state and finally to place top 5 at state! Three seasons ago we had a group of dancers that asked if they could place in the top 3 in the state if we could attempt to go to nationals, our response was if they can earn it they can have it! Last year the goal was to place top honors in all competitions and then this year we could head to nationals! Last year at state we had a lot stacked against us as we were moved up to the largest school division in the state and up against the best teams in the state! The best we had ever done prior to that was 6th place. We were in complete shock when we placed 2nd and our journeys to nationals began! This team never gives up. They are the most dedicated, hard working dancers we have had the pleasure to coach. Their spirit and drive that is both positive and encouraging is hard to put into words. We start our practices with hugs to each other, because a hug is an non-verbal way to tell your teammate that you are here for them! They set goals and exceed them. They look at each others strengths and we use their strengths to push the team. We take the weaknesses and turn them into strengths. From daily turn/skill videos in garages, kitchens, living rooms, and even on holidays they show that they have a goal and have the perseverance to accomplish anything that they set their minds to. We look at them in awe sometimes because we see that they know that this thing called Prairie Poms has become bigger then themselves. They take the role that they play not only on the team but in our community seriously. They are positive role models to the younger generations as they are in the community volunteering and in the classrooms in elementary schools. They train as a team and then eat dinner on the way to their studios to practice and perfect their craft. Above all else they are caring and kind. They represent the good in the world and bring hope through dance to our community. My favorite memory is watching them get off of the state floor with pure excitement and joy for each other after performing their hearts out! What ever the placement they will always have that memory of accomplishment and that feeling! My other favorite memory is watching them prepare for nationals. From the first day of learning choreography to taking the routines to the nationals level. The journey in itself has been rewarding! I think I'm most excited to see how far they will have come from day one of the season. I'm excited to see them on the nationals floor and to experience something so remarkable! Our biggest challenge is just overcoming that this is our first year going to UDA Nationals, but we can do everything in our power to prepare both physically and mentally. As a coach you can prepare them for every thing but the second they step onto that floor we don't have control anymore! We just believe in them and cheer them on and hug them at the end!